Explanation: What is that on the horizon? 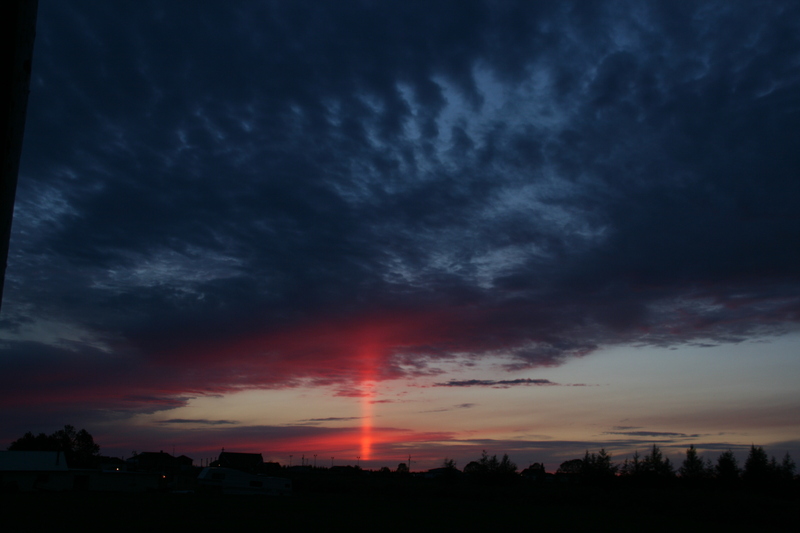 No, it's not an alien starship battling distant Earthlings, but rather a sun pillar. When driving across Ontario, Canada in early June, the photographer was surprised to encounter such an "eerie and beautiful" vista, and immediately took pictures. When the atmosphere is cold, ice sometimes forms flat six-sided crystals as it falls from high-level clouds. Air resistance then causes these crystals to lie nearly flat much of the time as they flutter to the ground. 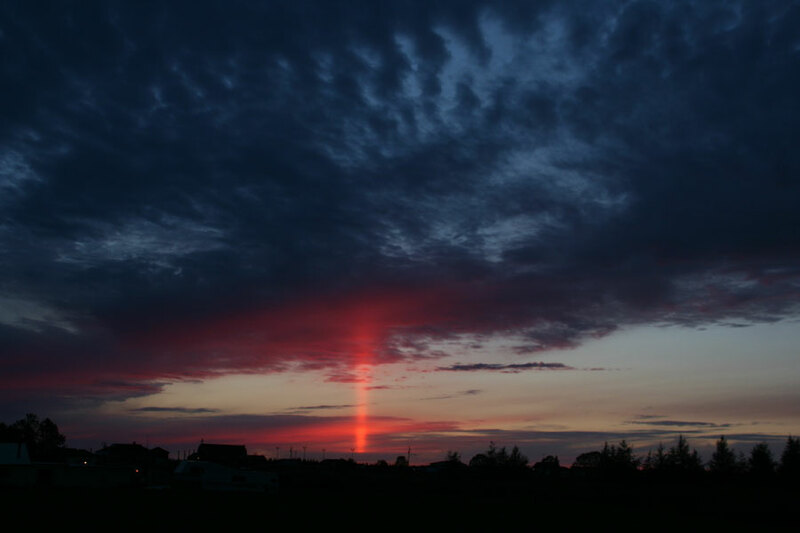 If viewed toward a rising or setting Sun, these flat crystals will reflect sunlight and create an unusual column of light -- a sun pillar as seen above. Such columns of light are not uncommon to see, and a retrospective of past APODs that have featured picturesque sun pillars can be found here. Challenge: Find blogs running longer than APOD.